Nice bit of video, what about Alan sugar? I will try and come to the last one end of July as its the wife's birthday tomorrow so got the kids tonight, out tomorrow and Sunday with family and friends. Let me know and may even bring down the C5 for the last night (if it can be kept safe). 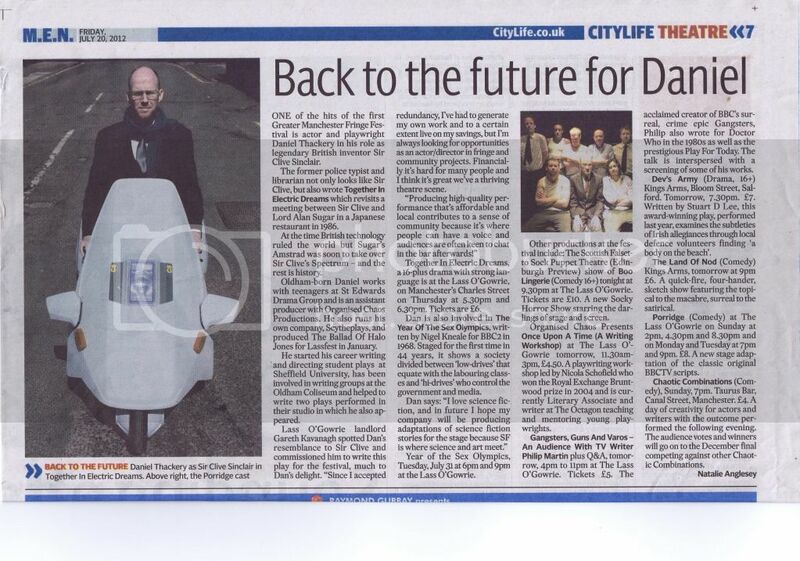 Following on from my C5 being used for a photo shoot and video it has now been shown in the Manchester Evening News.